This past Friday August 1, another International Childfree Day presented and passed. Certainly a humbling day for me personally having won “International Childfree Man of The Year”. I am grateful to the selection panel for their consideration, my family, colleagues, friends and to the Childfree community as a whole for their kind words of support. I want to also acknowledge and congratulate Quebec’s Magenta Baribeau, winner of International Childfree Woman of The Year”. I recently explained why I did not want to read any of my books again. My drive to revise might overtake me and I would have to resist the temptation to upload a newer version. During International Childfree Day, it was tempting to want to revisit Planned UnParenthood to refresh myself with some of the content. It was unnecessary to do so. Thankfully I have enough of a memory of the book that I have smoothly been able to answer many questions about each chapter and explain the whole premise of why the book was written in the first place. During a brief break in the day Friday, I had a nice chat with reporter Priya Sam from CTV Atlantic about International Childfree Day and spoke a bit about the book and a few matters connected to the Childfree community. The piece was connected to Halifax-based “We’re Not Kidding”, a fairly new social group of childfree couples. The last few days I have been reflecting on the great success of Planned UnParenthood. Because of International Childfree Day, the book is set to connect with an even wider global audience. Truly an honour and humbling for myself. People have told me that I have said things for them that they have wanted to say. In one instance a reader commented that she felt like she could deal more easily with her parents who were constantly putting pressure on her to have children. Parents have contacted me to tell me they understand more now. One reader apologized to me for ever commenting negatively towards anyone who made the choice of being Childfree. Hopefully I can reach more through my writings on this site and connecting with readers through feedback on the book. Because the book contents are a great topic the content has the potential to read fresh for a very long-time before it ever were to become stale. Sure there are a few books on the market about not having children and more will emerge over time. The topic is still fresh and keeps being refreshed by many media outlets several times per year. It is in those moments of refreshed stories that more people may feel better about the decision not to have children. More Childfree persons can and will connect with common causes and concerns. The Childfree community is an incredible demographic. People of different occupations from different parts of the world, with different political perspectives and different interests. I have found significant common ground with Childfree persons who have a drive to promote animal rescue. Through many of these people I have learned about different animal rescue organizations and what those groups are accomplishing. In another 2 years, or even 20 years from now, I will reflect fondly on this recognition and hopefully will have contributed something to inspire future winners. 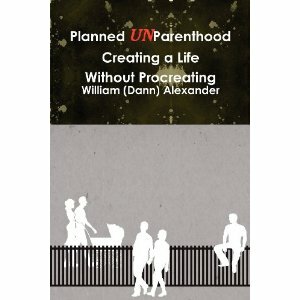 Planned UnParenthood – Creating A Life Without Procreating is avaialble at Amazon Worldwide and many other online book retailers across the globe. Posted in Notes from the Frogpond.Tagged book, books, chat, childfree, childless, childless by choice, CTV Atlantic, Halifax, International Childfree Day, Magenta Baribeau, Nova Scotia, Planned UnParenthood, refresh, We're Not Kidding, We're Not Kidding Halifax.